The holidays are right around the corner, bringing busy days, last-minute shopping trips, and holiday parties. But no matter how hectic this year's holiday season gets, I hope you can get some hot chocolate-snuggling time in with your kids, reading lots of favorite Christmas books together! 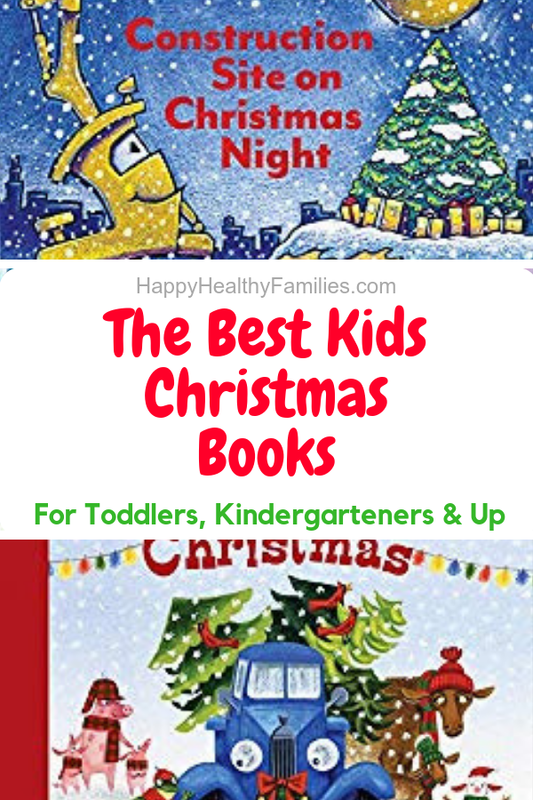 This list includes classic Christmas books that make Christmas Christmas, plus newer and very popular Christmas books for kids that have heart-warming stories and messages for the season. So grab your snuggle bugs and enjoy this most special time of the year with a good book. Disclosure: If you purchase a book using a link provided, I may earn a small commission at no extra expense to you. 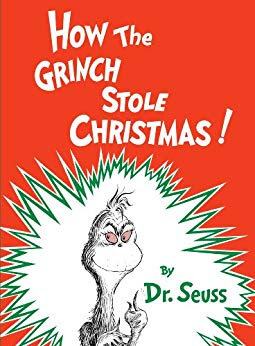 This cute Christmas book for preschoolers has sold over a million copies since being published in 2016. It is a fun story about a little boy who is worried about possible mishaps on Christmas Eve, like the wind blowing his Christmas tree away, or one of Santa's reindeers getting his antlers stuck in the branches that hang over the roof. Luckily, his mom has just the right answers to all his questions! 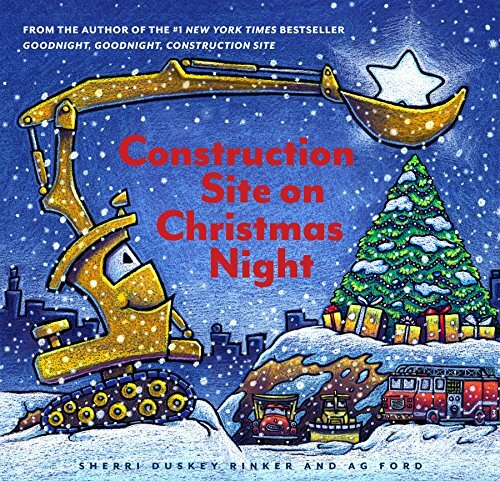 Written by the author of the #1 New York Times bestsellers Goodnight, Goodnight, Construction Site and Mighty, Mighty, Construction Site, Construction Site on Christmas Night is on the top ten list of best selling Christmas books on Amazon, and no doubt will join the list of favorite Christmas books for little ones. October 16, 2018, is the first day you can buy Construction Site on Christmas Night - so save the date if you have little ones at home! Better yet, pre-order your copy today! 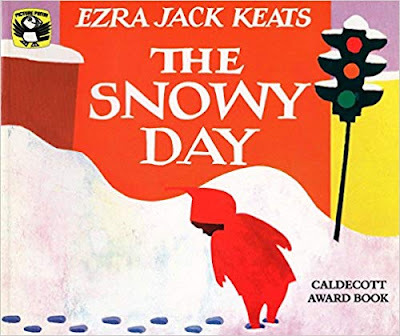 The award-winning children's book, The Snowy Day, is a must-read holiday classic. The beautifully illustrated book tells the story of a little boy who experiences all the wonders of a magical snow day. Definitely, one to snuggle up and enjoy with your little ones! Who doesn't love this classic Christmas story of a little boy who takes a magical trip to the North Pole? Buy The Polar Express Anniversary Edition at Amazon.com. If you are looking for sturdy board books for your little ones, one of the best Christmas pictures books this year is Little Blue Truck's Christmas. Preschoolers can practice their counting skills as they help count the Christmas trees Blue delivers to his animal friends at Christmastime. This classic Christmas picture board book for toddlers and preschoolers tells the heart-warming story of a farmer who remembers in the nick of time to put out gifts for all his barn animal friends. Little ones can count along as the farmer places gifts under the tree for each of his friends. Definitely one of the best picture books for Christmas ever! The awesome Berenstain bears are back in a Christmas story that helps kids learn about the joy of helping others. Both children and parents are going to love reading this story about 5 siblings who try to find a way to save their family's beloved brownstone home at Christmas time - and they only have 11 days to come up with a plan. The story of the first Christmas complete with gorgeous illustrations in a sturdy picture board book for younger children. It just wouldn't be Christmas without Dr. Suess's all-time classic Grinch!